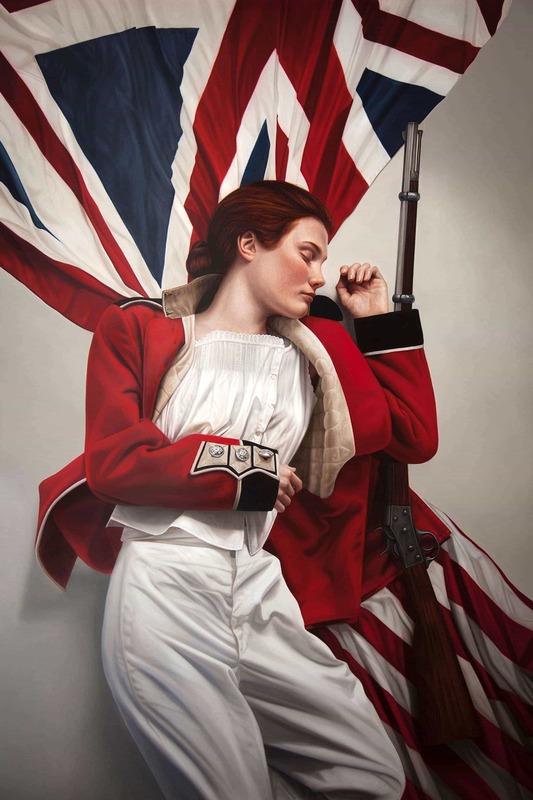 Acclaimed artist Mary Jane Ansell is a previous finalist in the National Portrait Gallery’s prestigious BP Portrait Awards in 2004, 2009, 2010 & 2012 and has exhibited with the Royal Society of Portrait Painters. Her recent work demonstrates the influence of 17th Century Dutch still-life and portraiture on her continued interest in constructing pictorial narratives, and in the use of light to create a sensual and dramatic visual experience. As Mary Jane’s paintings have detail and a surface beyond even HD computer screens we welcome you viewing them in person. Mary Jane achieves a classic and timeless beauty with her alluring compositions but this beauty is not whimsical, rather it is sharp and intelligent. The view find their eyes switching from the beauty of the surface to the intrigue of the muses’ pose and the narrative that lies within, challenging the viewer to look beyond the immediate appeal of the works. A regular contributor to the National Portrait Gallery’s BP Portrait Award and with work in their permanent collection, Ansell’s work is sought after by noted collectors in the UK, China and USA. Adam Ant having purchased Mary Jane’s painting from the Fairfax Gallery and used 2 of the images on an album cover. “I find it fascinating to explore the way light can be used to focus attention on certain details, or to conceal others. Colours, contours and textures are more clearly defined by the play of light and shadow, and become as symbolic and loaded with meaning as any other element in the work.